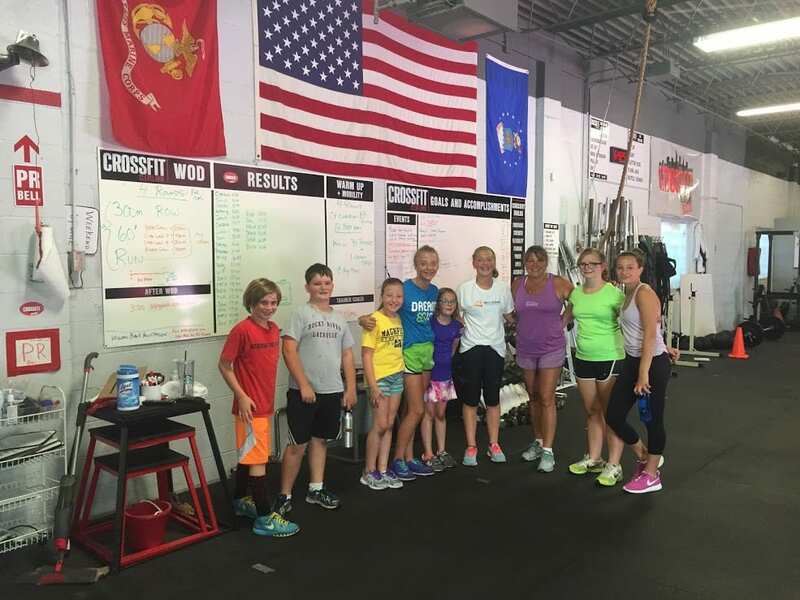 CrossFit KIDS classes, for ages 10 to 14, are held on Monday and Thursday at 5:30pm. CrossFit TEENS classes, for ages 15 to 17, are held every Monday and Wednesday at 3:30pm. An optional third class is our Saturday 11:00am Basic Intro Class, included in the monthly TEENS fee. New KIDS & TEENS classes start at the beginning of each month. You can enroll your kid(s) using the registration link below. Staci will contact you once your payment is received to confirm your spot in the next monthly program. Let’s face it, in today’s day and age, kids are more sedentary than ever. Kids need to move and we make exercise and fitness fun. We promote broad and general overall fitness.CrossFit Kids will help your child/children be more well-rounded in their every-day lives. Our workouts will increase physical competence in 10 fitness domains: Cardiovascular and respiratory endurance, stamina, strength, flexibility, power, speed, coordination, agility, balance, and accuracy. All our exercises in each workout are modified to each individual’s needs, so every child can benefit from our program, whether they are less active or train in specific sports programs throughout the year. By tailoring the workouts, each participant will be challenged enough to see measurable results and personal athletic progress. “CrossFit Kids is not a scaled down version of CrossFit, it is entirely, absolutely CrossFit geared and designed for a special population and the specific developmental needs of that population” ~ M. Martin. Your child/children will get much more than improved fitness at CrossFit Cleveland’s facility in Rocky River, OH. We use fitness as a method to teach about responsibility, commitment and self confidence. We challenge your kids to be better, better kids and better people!! KIDS classes are held on Mondays and Thursdays at 5:30 p.m. and last 45 minutes. TEENS classes are held on Mondays and Wednesdays at 3:30 p.m. and last 60 minutes. An optional third class is our Saturday 11:00am Basic Intro Class, included in the monthly fee. Like what you see? Enjoy a FREE 60 minute training session and see if CrossFit Cleveland is for you.